Nice Insight’s market intelligence offering has been restructured to offer a process that delivers leads directly aligned with your capabilities and strategy. We work with you to define the process up front, then the work our researchers do on an efficient FTE or PTE basis derives contacts that are match to the parameters you set. That means less work on the back end for you too, and stronger rates of conversion. This is integrated with our thought leadership community accessible through Pharma’s Almanac – our publication platform – offering you further opportunities through more than 180,000 users. The third pillar of our offering is Nice Match, which is a service that connects your available capacity to suitable outsourcers that have projects matching your capabilities. 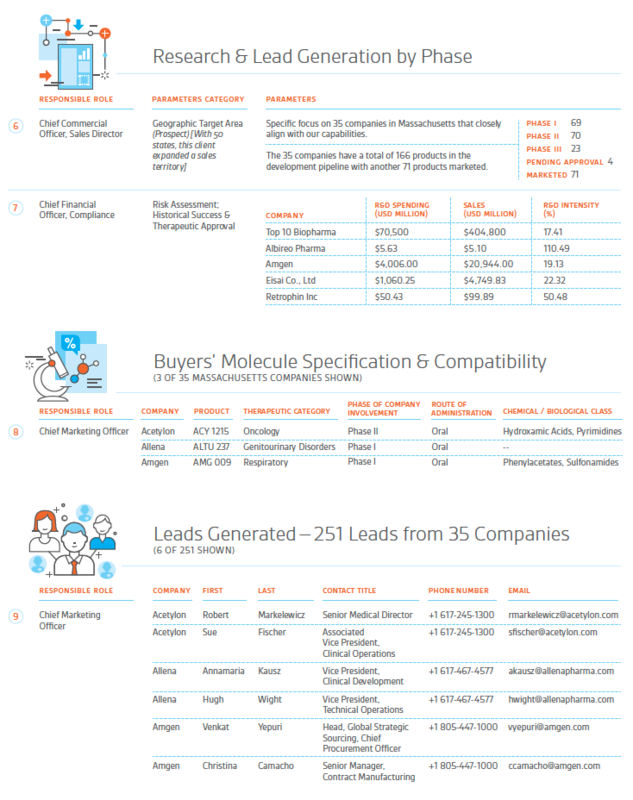 No other provider or service in the industry offers this caliber of lead generation, a combination engine that delivers unprecedented value. 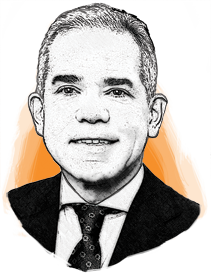 Nice Insight has conducted 23 proprietary annual surveys since 2010, and now provides free access to its comparison tools that were previously part of a subscription service. This gives you the ability search for providers of research, drug substance, drug product, excipients, equipment and logistics by region, service or specialty. 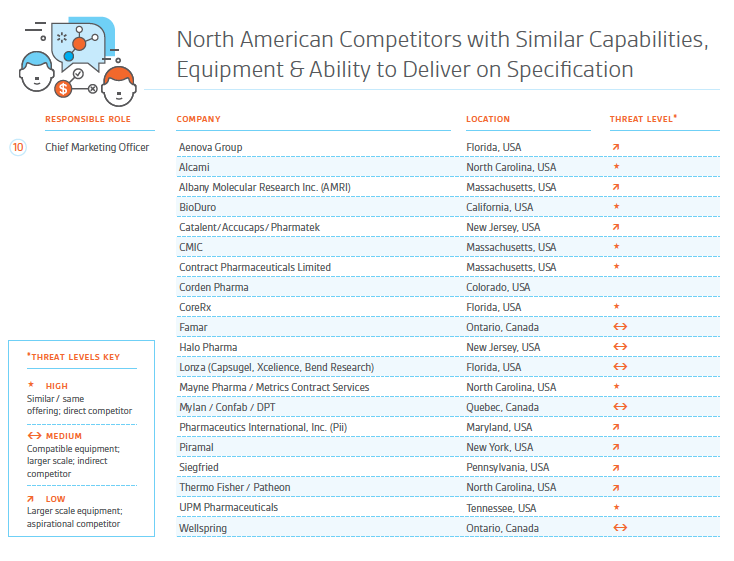 You can then compare up to five suppliers at a time on a range of ratings given by pharma and biotech customers. This is a unique online asset to both buyers and sellers of outsourced services. Start your research using the Nice Insight menu top left. Nice Insight’s expert industry research team provides ongoing market intelligence based on a commitment of 10, 20 or 40 hours per week. It can serve as an extension of your team or a fully outsourced model, and it’s the most efficient way for you to maintain access to this level of service and expertise. That’s just the beginning. Before we start the clock on research queries from your authorized staff members, we go through a process with you to define the characteristics of your capabilities and capacity. Where is your sweet spot? Are you looking for early-phase small molecule projects from innovators concentrated in a particular region? Download a brochure on a specific market segment to better understand our approach to FTE / PTE market research and business development for our clients. Pharma’s Almanac is a pharmaceutical and biotech industry thought leadership publication and content platform. Content is produced for customers with the backup of our research data and intelligence across every segment of the market. Articles and other content give you the opportunity to talk about your expertise in subject matter allied to industry trends, the major events, timely opportunities, or your positioning strategy. It’s a powerful approach to managing the market’s awareness and perception of your brand. 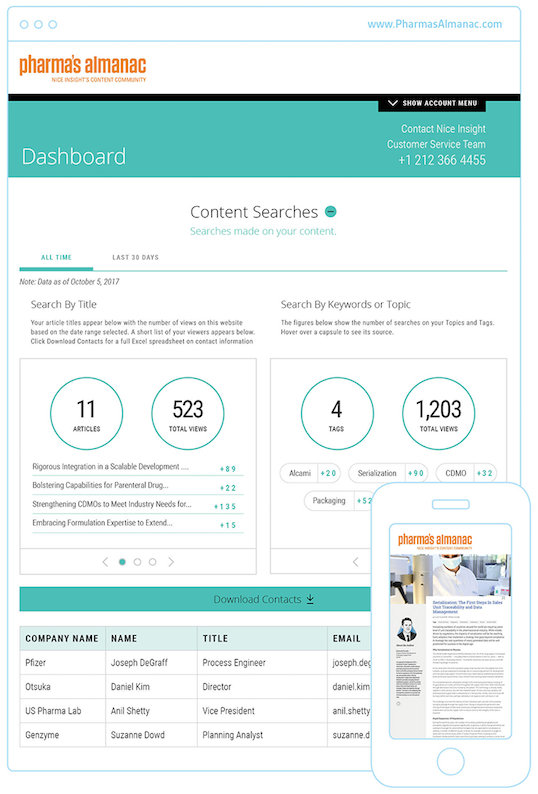 Not only this, but through a dashboard, you can track the searches made on your content and download contacts that have shown interest in your business. The print publication is distributed quarterly to outsourcing professionals across North America, Europe and Asia. It is updated daily online for 96,000 viewers and emailed to 65,000 subscribers three times a week. 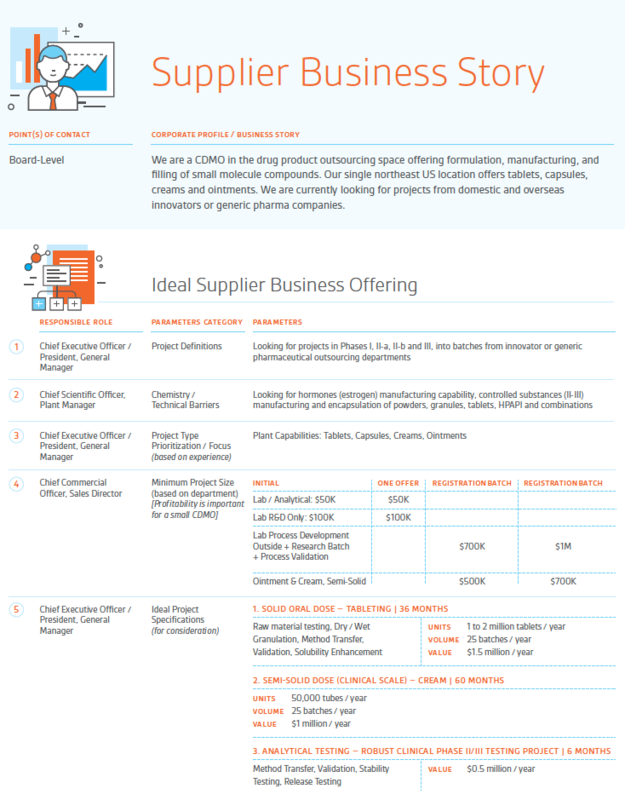 Nice Match is a proprietary service by which we match demand for specific projects to your available capacity, specific capabilities and technology, and ideal customer/project strategy. Under a signed agreement and defined facility analysis & sales funnel strategy, prospects with projects that are a close enough match are introduced directly. Contract manufacturing is scientific but not always an exact science. It’s a delicate balance of available, appropriate capacity meeting the needs of innovators’ projects at the right time. It’s also about groups of people being comfortable working together, sharing philosophies and agreeing on the level of transparent communication and flexibility. Nice Match is supported by the 22 years of market knowledge of That’s Nice, 10 years of market intelligence captured through Nice Insight, and a continually growing network of contacts and customers. After a signed agreement is executed, a working session with your top team is conducted to define and agree on your company’s ideal customer and project profile to best utilize your resources and expertise. Potential customers are then screened and introduced, so you are past the business development process and directly into project negotiations and due diligence. Visit www.NiceMatch.com to learn more about the process and discover how Nice Match can be a valuable resource for your business.